It’s not possible to visit parlor every time you need poker straight hairs, right? Moreover, that is when hair straightener comes in action. Hair straighteners are easy to use and they help you attain smooth and straight hair in the comfort of your home. There are numerous of hair strengthener’s available in market and thus choosing the best out of them becomes really difficult. If you are looking for a good hair straightener, then this top-10 list might help you. 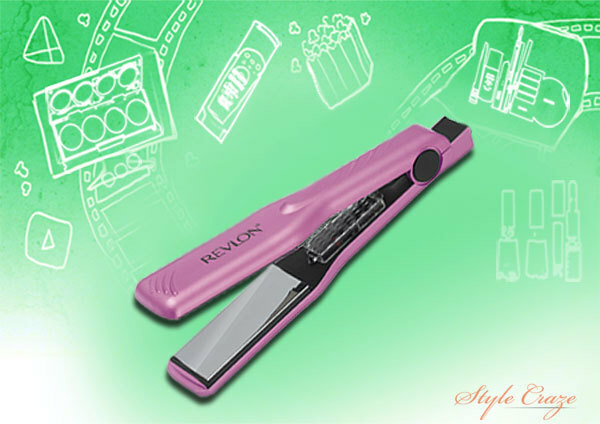 Today I am compiling REVLON hair straighteners, the brand which makes some amazing hair appliances and one such is the hair straightener. 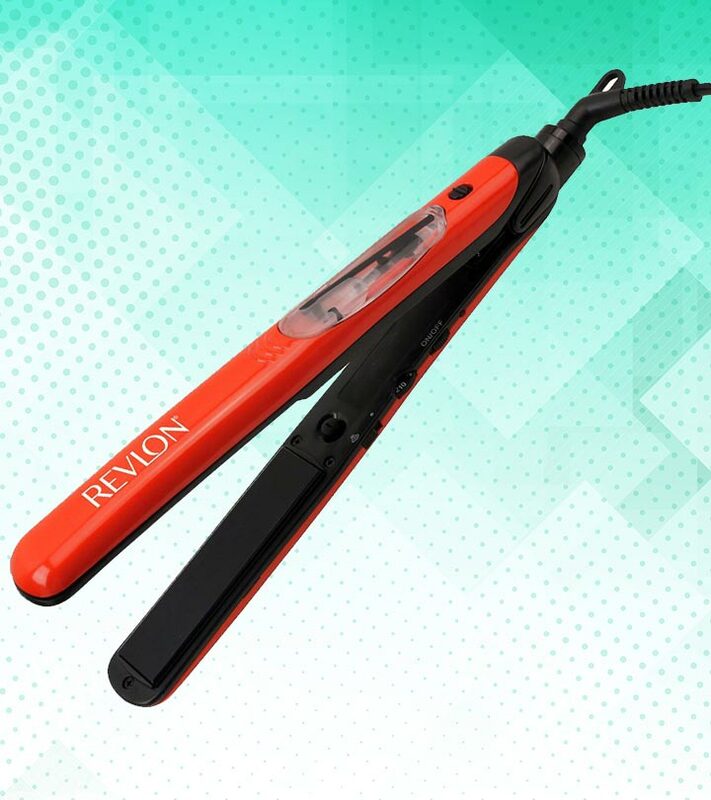 This hair straightener from REVLON is based on hydra therapy, which means that the plates of the straightener infuse hair with water particles. 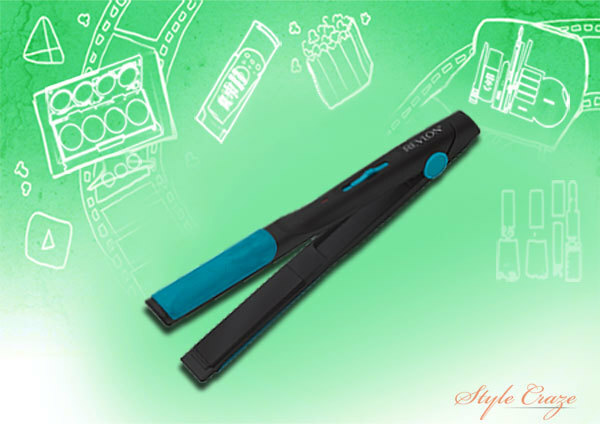 It has ceramic plates which help in making hair smooth and frizz free after straightening. It straightens hair quickly which minimizes the damage and it get’s heat up to 430 degree so you can control the heat accordingly. It get’s heated up within 30 seconds and thus you do not need to wait for long. It gives you poker straight hairs in a fraction of the time. This hair straightener is based on the infrared technology which seals your hairs cuticle and strands smooth and also adds shine to them. The plates of the straightener are made of ceramic, which helps in retaining natural moisture of hairs and doesn’t damage them. It get’s heated in just 30 minutes and has multiple heat settings which makes it easier to use. There is also an indicating light which get’s switched on when the straightener is ready-to-use. The ionic technology conditions hairs and also controls frizz, the final result is sleek and straight hairs. 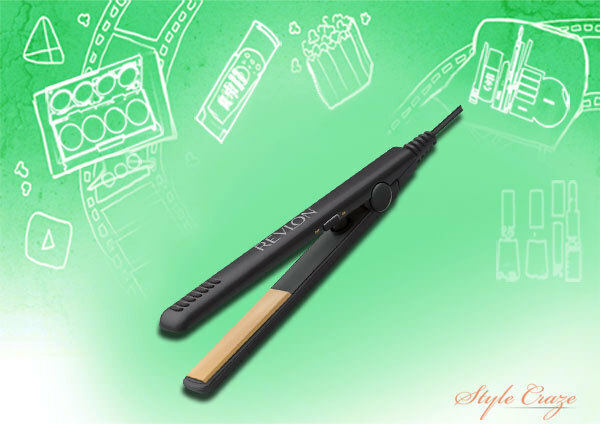 This ceramic plating straighter from REVLON provides high heat and gives poker straight hairs in just one single swipe without damaging the moisture of hairs. The ceramic technology prevents hair from getting frizzy and makes them smooth and soft. 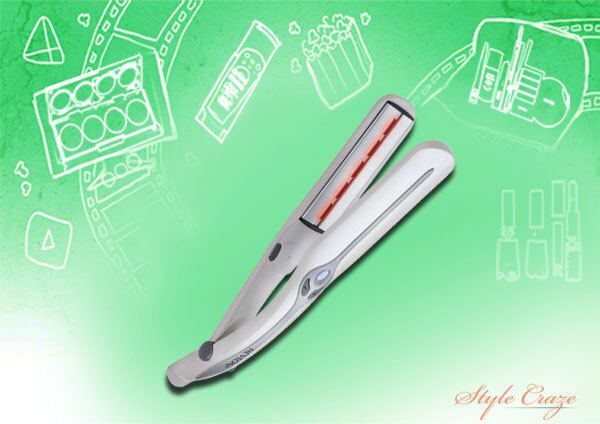 The straightener has rheostat dial with multiple heat settings which help in styling all types of hairs. It gets heat-up within 30 seconds and when the temperature is very heated it get’s shut-off automatically which prevents your hairs from damaging. The handle is long and it helps in easy handling which makes things simpler. This straightener has 2″ Plates size plates so that you can straight large sections which saves your time. It is based on ceramic technology which ensures minimum damage and it get’s heated up within 30 seconds. 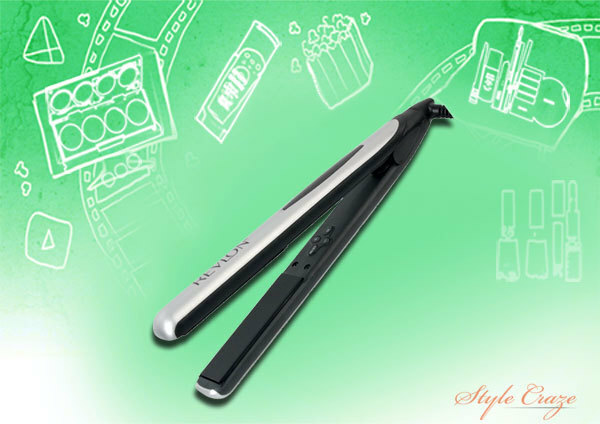 It gives you poker straight, tangle free and manageable hair, as it has tangle-free swivel cord. It prevents your hair from losing their original moisture and you can style any kind of hair texture and thickness with this hair straightener. 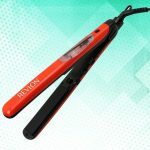 If you have short hairs and bangs then this hair straightener from REVLON is made for you as it is made from ½” Tourmaline Ceramic Plates, which are perfect for bangs and shorter layers. It heats within seconds that saves your styling time and the end result gives you poker straight bangs and layers. It also has self fastening cord wrap which is great for on-the-go convenience. It has an *on* indicating light which switches on when the straightener is ready to use. The packaging is also very innovative and it comes with a heat resistant styling iron storage bag so that you can store it instantly after you’re done with the straightening. 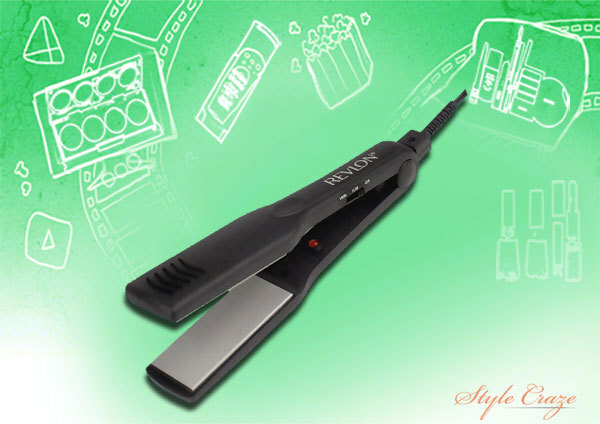 This Revlon hair straightener is versatile as you can get poker-straight hairs with it or you can also create curls/waves with it. The ceramic technology insure minimum damage to your hairs and it get’s heat-up in few seconds and style your hairs in a fraction of the time with superior results. It has rounded plates and easy to grip handle which makes it convenient to use. The swivel cord is tangle free and it get’s heat up to 430 degree. This hair straightener is coated with nano-diamond additives which creates a soft surface through hairs and gives you frizz free hairs, this is known as nano diamond technology. It is also based on the Tourmaline Technology which provides shine and smoothness to your hairs. 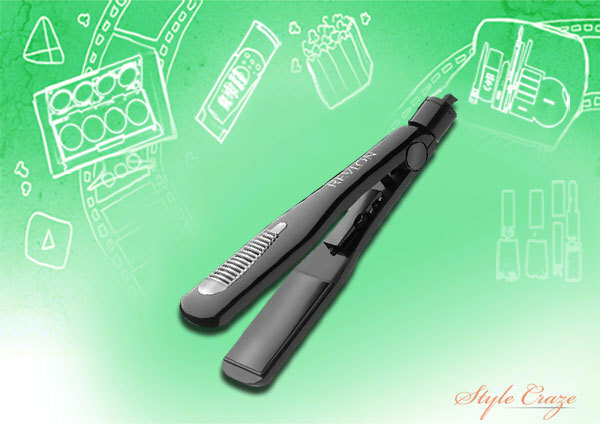 The plates of this straightener are rounder and 1″ Slim in size which helps in easy handling. The variable heat settings and high heating makes it apt for professional as well as individual use. You can create flips, curls, waves, bangs and straight hairs with this hair straightener as it has 1½” Plates which makes it versatile. As the name says, it is based on titanium technology which means that you can style your hairs without pulling or snagging them. It has 30 heat settings which helps in versatile styling and it get’s heat-up within 20 seconds. The packaging is very innovative and it comes with a compact lighted mirror which makes it travel friendly too. 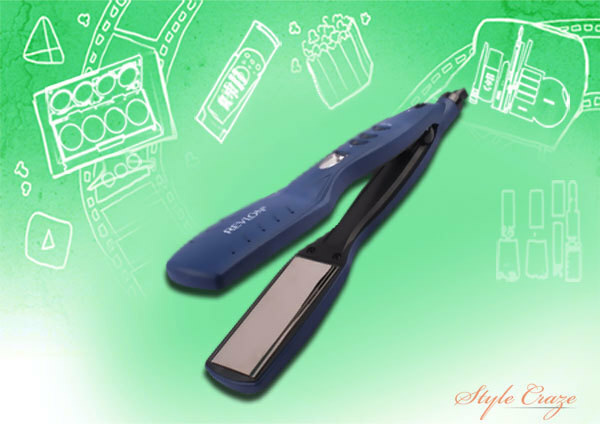 This versatile hair straightener has 1″ Plates which helps in styling your hairs differently. It is based on moisture stay technology which helps in retaining the natural moisture of your hair strands and there is less damage. It get’s heat-up instantly and the multiple heat settings makes it easy to use. It shuts off automatically when the temperature gets heated up more and the tangle free swivel cord control frizz. The titanium technology helps in styling hairs without pulling them and it also helps in making your style stay longer. This hair straightener is based on Tourmaline Technology which emits ions to cut static for utmost shine, softness and control. The plates are 1″ which helps in versatile styling and it get’s heated up within seconds which saves your time. The triple bakes ceramic technology also provides high heat without losing hair moisture and gives you frizz free straight hairs. 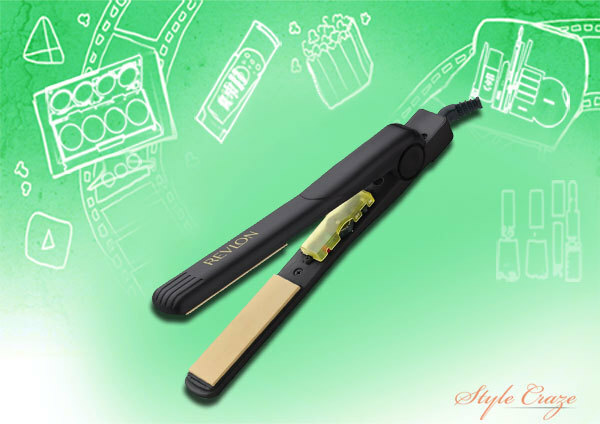 You can also create waves or curls with this straightener which makes it worth the price. 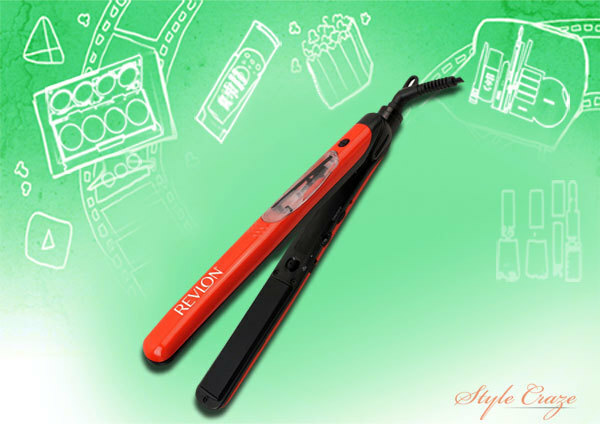 Hope you liked reading this article on top 10 REVLON hair straighteners. Do try these products for best results and please share your experience with us. Once you buy them, you will definitely know how to use Revlon hair straighteners with the guidelines given along with the appliances. We would love to see your comments and views below. Stay Gorgeous! !